The National Institute of Circus Arts (NICA) opened their 2017 graduate showcase last Thursday and Friday night, and the performances will continue until Saturday 24 June, 2017. NICA presents Circosis: Left Brain, Right Brain . The graduating troupe is split over two shows, with one half of the graduating students performing Left Brain and the other half, Right Brain. 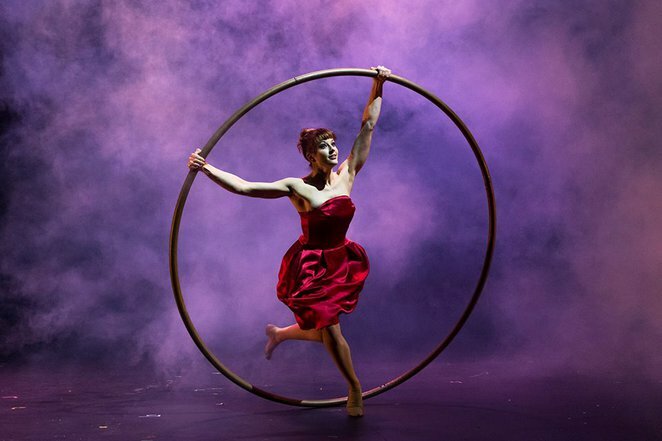 Twenty-three NICA circus artists have spent the last three years honing their circus and performance skills, guided by world-class trainers to achieve their Bachelor of Circus Arts degree. NICA's annual circus showcases are performed in the Institute's state-of-the-art facility in Prahran. Highly entertaining performances are ticketed events that are open to the public. As an audience member, this is an opportunity to enjoy the outstanding skills, talents and agilities of the current years' graduating artists. For the students, this is their opportunity to shine. Seeing the second segment of Circosis, this review is based on the Left Brain. As far as NICA graduate performances go, this has to be one of the most eye-opening I've seen, but phenomenally good nonetheless. 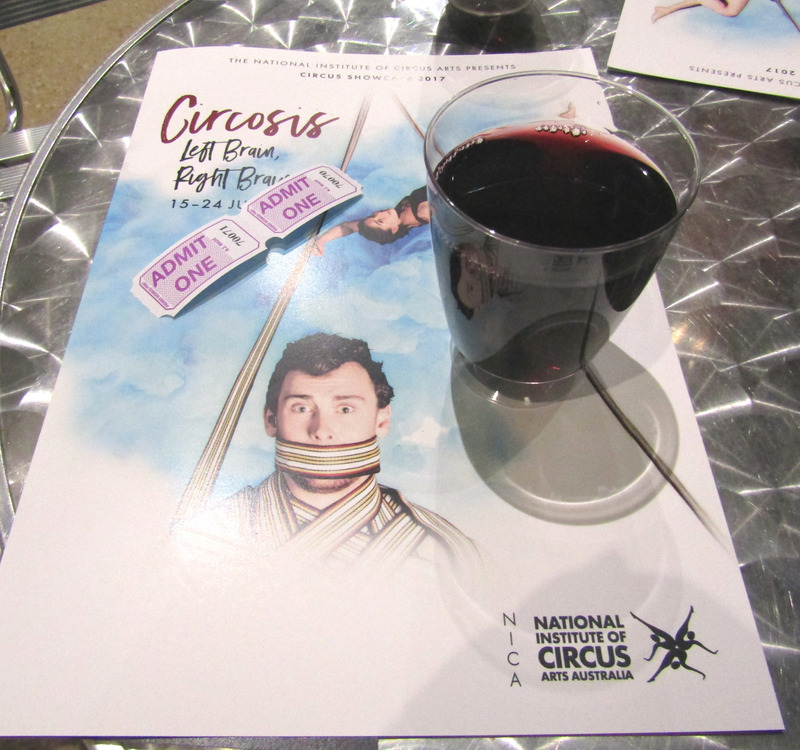 The synopsis of the showcase is: "Circosis: Left Brain, Right Brain, a two-part production of elite-level circus. Set in a world where obsession is the norm, the graduate showcase performances range from the poignant and evocative, to the flamboyant and outright absurd." 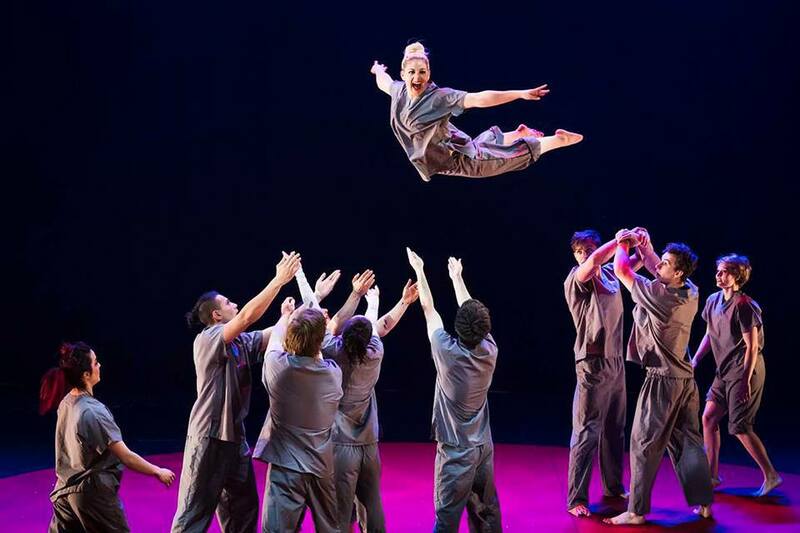 The performance opens with twelve students writhing around on the stage dressed in grey hospital scrubs-like uniforms. The emotional rollercoaster that is Left Brain then begins quite upbeat, with a cheerful Nelson Smyles leaping through mischievous hoops. Harley Timmermans then hits the stage with a serious yet mesmerising performance showcasing his astonishing strength on the aerial straps. One of my favourite acts follows, with Maya Tregonning proving that the art of miming is far from dead. Her comedy acrobatics involving imaginary circus animals and her balance act on the 'rollercoaster' aerial ladder had me in stitches. She is funny.. and strong too! Emily Gare performs a graceful piece on the rotating ring. Emily is a likeable character and obviously very talented, but I have to say her hammer and nail trick later on, had me squeamish. You'll see what I mean when you see it. Isaac Lawry then leaps and bounds with poise and power, under a fluorescent ball swinging high above him. Isaac dances with the ball whilst demonstrating his freestanding / handstanding abilities. Just before the interval, the mood takes a turn to the dark side when graduating student Ela Bartilomo hits the ropes. Whilst Ela is exceptionally talented in her chosen speciality, I found the theme of the act quite difficult to digest because it represents fur and the fashion industry in a confronting way. After a short break, Elizabeth Jackson performs the Chinese pole in a more upbeat act involving lots of heavy breathing! And when Jack Wilde follows with his glittery beard and cheeky winks, there's smiles all round. Jack's ladder balancing act is fun and clever; again, one of my favourites. Luke Thomas showcases his skills in an emotional aerial tissu (silks) act, paying homage to the damage that plastic bags have on the planet. His graceful performance moved the audience with heart-wrenching moments. Amanda Lee is a writhe hand balancer, I enjoyed watching her, but I must admit I found the unusual choice of soundtrack to accompany her act quite dominating. The second to last solo performer in Left Brain is Riley McDonald, who begins his act by sitting on a swing, high above the audience with a bag over his head. When he removes the bag, and trapezes over the audience, he does so with a crazy-creepy look in his eye and incredibly powerful disposition. To end the show, Jessie McKibbin glides across the stage in the roue Cyr, all the while changing outfits three times, but all in the blink of an eye! So sweet. Loved the glitzy frock at the end. While I've perhaps emphasised the moments I found hard to chew in Circosis; Left Brain, I would without a doubt recommend going to see NICA's 2017 showcase if you can. Whether you choose to see Left Brain or Right Brain, I am sure you will leave NICA feeling emotionally charged and in awe of what the human body can achieve after years of hard work and dedication. NICA presents Circosis: Left Brain, Right Brain is on now till Saturday 24 June, 2017. Tickets from $22. Book at www.nica.com.au. When: Evening and matinee performances till Sat 24 June, 2017.